Smackover Preschool turned into an art gallery during the last week of school in May. The preschool faculty hosted an art show for parents, students, and community members on May 19. Check out the talent of our amazing young artists! Posted in Buckaroo News on June 28, 2013 by The Buckaroo Blog. Smackover Preschool is one of the best kept secrets in the Smackover School District! The preschool serves children from 6 weeks old through 4 year olds. Preschool teachers use Creative Curriculum and Conscious Discipline programs to provide a supportive and nurturing environment. Additionally, Smackover Preschool has achieved the status of three stars from the Better Beginnings Quality Ratings. This is the highest ranking certification issued by the Department of Human Services – Division of Child Care and Early Childhood Education. For more information about enrolling your child in Smackover Preschool, please contact Debra Tolin, Preschool Director, at 725-3651. Posted in Buckaroo News on June 27, 2013 by The Buckaroo Blog. Designated Dave Wilcox to serve as Smackover School District’s representative on the South Central Service Cooperative Board. Referred three policies back to the licensed PPC for further clarification. Approved the proposed policies of May 20, 2013 to become effective on July 1, 2013. Accepted the resignations of three employees. Hired Amber Moore, secondary art; Christy Reynolds, secondary science; Amber Holloway, 4th grade; and Allen Simmons, secondary music. The Smackover School District Board of Directors meets in regular session on the third Monday of every month in the board room of the central office at 5:30 pm. The public is invited to attend. Posted in Buckaroo Board on June 26, 2013 by The Buckaroo Blog. The top AR students from Smackover Elementary School who had high points and percentages went to Little Rock to the Museum of Discovery in May. For more information about Accelerated Reader, please contact library media specialist Charlie Weaver at 725-3601. Posted in Buckaroo News on June 25, 2013 by The Buckaroo Blog. Smackover High School would like to thank the sponsors listed below for their support of Smackover FFA for the 2012-2013 school year. They helped sent our students to Judging Contests, Leadership Camps, District Fair, State and National Convention. 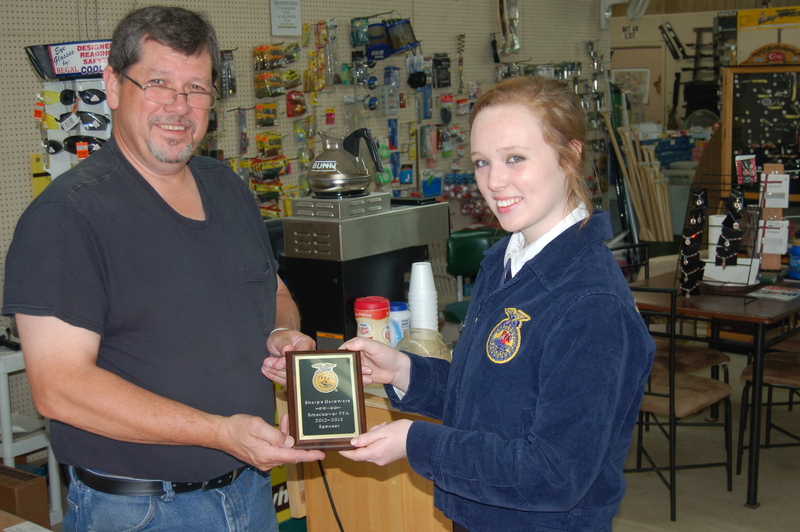 Cross Oil Refining and Marketing, Inc.
Smackover FFA is student organization for students enrolled in an Agricultural Education course in high school. FFA makes a positive difference in the lives of students by developing their potential for premier leadership, personal growth and career success through agricultural education. For more information about this please contact Jimmie Tucker at the Smackover High School at (870) 725 – 3101 You also can find more information about FFA on their website or the AR FFA website www.FFA.org or www.Akansasffa.org . Posted in Buckaroo News on June 24, 2013 by The Buckaroo Blog. On Wednesday, June 5, 2013, Mallory Pyron was one of six finalists that competed in the State Discussion Meet held at Camp Couchdale. The event was sponsored by AR Farm Bureau. Mallory earned the right to represent the School in March at the District competition where she won out of 12 students. 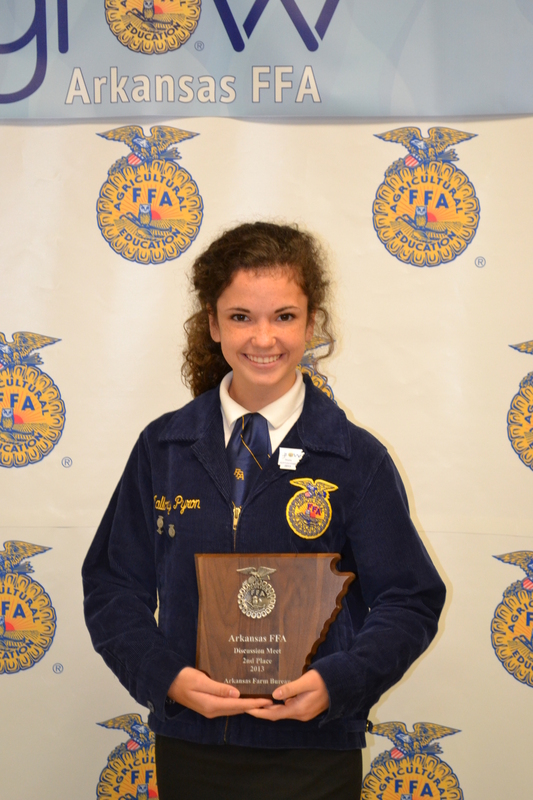 By placing second at the State Competition, she earned a $500 scholarship from the AR Farm Bureau Federation. For more information about this please contact Jimmie Tucker at the Smackover High School at (870) 725 – 3101. You also can find more information about FFA on their website or the AR FFA website www.FFA.org or www.Akansasffa.org . Posted in Buckaroo News on June 21, 2013 by The Buckaroo Blog. 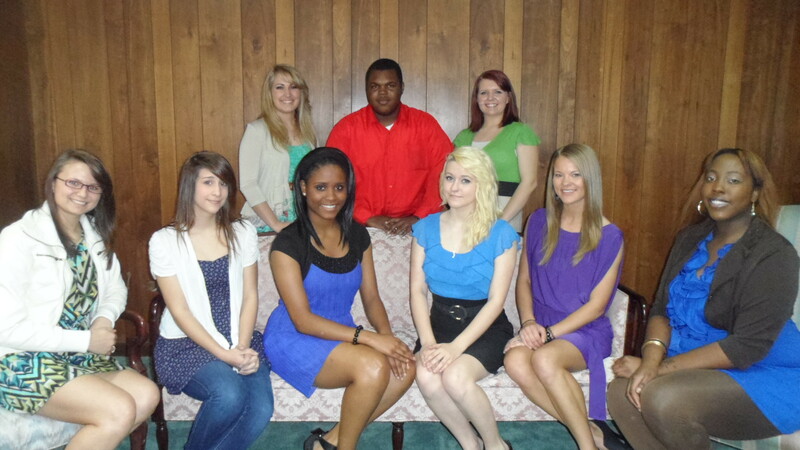 Seated: Kaylee Graham, Ashely Drummond, Cherell Williams, Kelsey Farley, Nicole Martin, and Ondrea Cureton. Standing: Sarah Wood, Demetris McAdoo, and Audrey Kemp. For more information about the business programs of study in accounting and digital communications, please contact Tammy Ward. Posted in Buckaroo News on June 19, 2013 by The Buckaroo Blog.